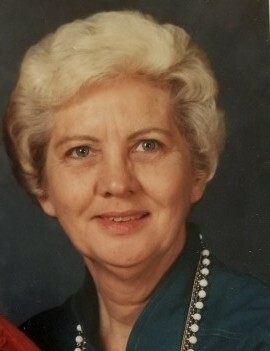 Doris Harvey Hummel, 89, of Phenix City, AL passed away peacefully Saturday afternoon, February 2, 2019 at St. Francis Hospital in Columbus, GA.
A celebration of life funeral service will be held 11:00 am EST Wednesday, February 6, 2019 at Vance Brooks Funeral Home in Phenix City with Rev. Charles Keown officiating. Interment will follow at Lakeview Memory Gardens where she be laid to rest beside her husband of 50 years, Morris E. Hummel. The family will receive friends Tuesday evening from 6:00 to 8:00 pm EST at the funeral home in Phenix City. Mrs. Hummel was born June 18, 1929 in Phenix City, AL to the late Frank Stewart Harvey and Doris Louise Cook Nuckols. She enjoyed reading, cooking, and spending quite moments in her yard tending to her flowers and other plants. She was huge fan of the Atlanta Braves, always chanting and cheering them on as she watched them on TV. She was lady of great character and a former member of the Amen Choir and a member of Lakewood Baptist Church in Phenix City. She is survived by her only son, Bernard Hummel of Virginia Beach, VA, one sister, Sandra Head of Phenix City, AL, and many numerous nieces, and nephews whom loved her dearly. Flowers are welcome or contributions may be made to Lakewood Baptist Church in Phenix City in memory of Mrs. Doris H. Hummel.